Every woman has had the experience of missing phone calls, because her phone was tucked away in a pocket of her purse. What if you could get phone alerts without looking at your phone? What if it came in the form of jewelry? 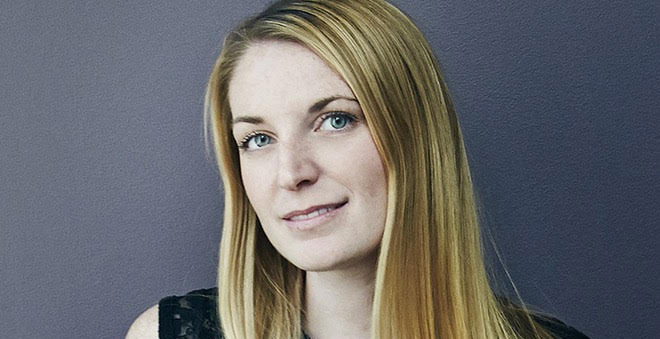 Well, Christina Mercando, CEO of Ringly, had the right thought when she created smart jewelry. Most of us are familiar with the Apple Watch, but Ringly presents beautiful rings and bracelets that alert you just the same. MillionaireMatch got the scoop on why Mercando created a new lane in wearable technology. “For me, I wanted to solve a problem I had in my own life. For women, we don’t keep our phones in our pockets. I wanted something to subtly let me know what was going on without having to pull out my phone and always check my phone. There weren’t a lot of options out there for women when it came to wearable tech. A lot of the devices felt a little gadgety, and made to be unisex. I believe the future of wearables isn’t going to be a one size fits all device,” Mercando said. Ringly rings come in different colors to fit any woman’s personal style. “We believe that the intersection of fashion and tech is where the magic happens,” Mercando said. In 2014, wearable technology became the new trend. With Apple Watches and Google Glasses on the market, it seemed to be the right time to launch a smart jewelry line. Mercando sees Ringly as being a bit different. “We see it less as wearable technology, and more as fashionable technology. In order to create great products, you need both style and utility,” she said. Mercando didn’t reach success alone. “Highway1 has been great in teaching us in how to take our prototypes to mass production,” she said. Highway1 is the premier hardware accelerator for startups. Mercando admitted she had no experience with hardware, before applying to Highway1. Once they were able to get their product out there, they hit another fork in the road that led them to create the bracelet. “We started out as a notification device, but we got a lot of feedback from customers saying they now have to wear two devices, the fitness tracker and Ringly. They wanted it all in one. So, with with the bracelet launch we decided to put it all in one,” Mercando said. Now, customers can track their steps and fitness goals from one device. Mercando is one of the few women who has created a startup that is venture backed. We wondered was it hard landing funding. “I think the challenge is more so that our product is focused on women. A lot of the VCs out there today, tend to be men. You have to do more explaining on the market, and what the product is why people would want to use it as opposed to pitching to women who get it,” she explained. With funding, not only has the brand included the bracelets, but will soon be offering smart jewelry that acts very similar to Apple Pay. You can pay for items right from your ring or bracelet. Mercando is also considering creating pieces for men. Currently, jewelry pieces range from $195-$260 and can be found at major upscale stores such as Bloomingdales and Shopbop. To get your smart jewelry or learn more about Ringly, check out www.ringly.com.